One of the best natural ways to boost the immune system is by taking probiotics, as they can restore the balance of bacteria in the digestive tract. Probiotics are beneficial bacteria that can be found naturally in a variety of foods. Common strains include the Lactobacillus and Bifidobacterium families of bacteria. When they are ingested, these healthy bacteria are added to the intestinal tract. Kibow® Flora is a highly effective probiotic supplement that contains 30 billion live probiotic bacteria per capsule. 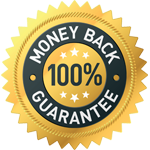 Kibow® Flora is 100% natural and is enteric coated to ensure that the probiotic bacteria are not destroyed by gastric or bile acids before they are released into the bowel. Highly specific microbial strains help reduce the various symptoms of metabolic syndrome. A natural immune system boost, the probiotics in Kibow® Flora also help digestion and promote intestinal function in healthy individuals. Kibow® Flora helps restore the quantity of ‘good’ intestinal microflora in the large bowel, strengthening the immune system. According to research studies, the elderly have a thousand fold less microflora in their bowel compared to a young adult. These microflora are responsible for boosting immunity and overall well-being of a person. 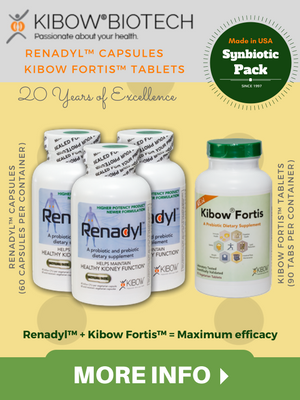 Kibow® Flora is also recommended to help restore intestinal microflora after treatment with antibiotics. In 1994, the World Health Organization deemed probiotics to be the next-most important immune defense system when commonly prescribed antibiotics are rendered useless by antibiotic resistance. The gastrointestinal tract is the body’s primary immune organ with 70-80% of the body’s immune cells are located there. The immune system ensures an appropriate response to non-harmful components such as food and harmful components such as certain viruses. Being a natural way to boost the immune system, probiotics need to be consumed on a regular basis, at least a few times a week and preferably daily, to maintain their effect on the intestinal microecology. For instance, levels of bifidobacteria in the colon have been reported to decline with age 55 and lactobacilli concentrations may be negatively influenced by stress. Preliminary research has shown that supplementing the diet with several probiotic species can restore levels of important immune system markers comparable to levels in younger controls and that probiotics may counteract stress-induced changes in intestinal barrier function. The intestinal tract must be in good order and with a healthy balance of beneficial bacteria to maintain a healthy immune response. Research shows that the relationship between gut flora and a healthy immune system is not just an arbitrary co-existence, but is, in fact, a mutually beneficial, synergistic relationship and an efficient, natural way to boost the immune system. Probiotic colonies work with the body’s internal immune system to organize strategies that prevent toxins and pathogenic microorganisms from harming the body. Probiotics communicate and cooperate with the immune system to organize cooperative strategies. Decades of medical research has indicated that probiotics stimulate messages that promote specific immune responses. Probiotics can quickly identify harmful bacteria and work to eliminate them. This process may not directly involve the rest of the immune system. Even still, the immune system will be notified of any probiotic offensives. The immune system will support the process by breaking up and escorting dead pathogens out of the body. In summary, smart probiotic microorganisms work collectively and synergistically with the other components of our immune system. Our probiotic formulation, Kibow® Flora, work within the immune system to help protect the body from invasions boosts the overall well-being of a person. 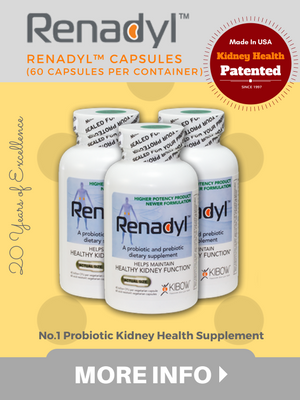 Take one capsule twice daily with meals or as recommended by your healthcare professional. Would you like to Order Kibow Flora™?